This was the message of the Women Together Sports Day at Multimedia University sports grounds, on October 14, 2017. We were very thankful to God for the great opportunity and favor to be at this facility. Because of the political situation in our country just now, there is unrest and fear of having any gathering. In this safe space, women and young girls had good times together, running around the big field, enjoying athletic competitions, playing football and netball and especially laughing together and cheering for one another. It was so much fun as girls were hugging their mothers at the finishing point, shedding tears of joy. This has never happened before! Women we don’t have to let the devil take our joy away from us, no matter what is going on in our country. We need to stay as happy as we can, because then we will have the strength to face whatever comes our way. The devil wants to bring discouraging things to our lives and make us believe that life is full of disappointment. So many women are hurting and joyless. They seem to be carrying heavy burdens. When women pray together mighty things happen! Imagine the delight to come apart for twenty-four hours over night, a time to refresh and renew our spirits! On Thursday, November 2, seven of us gathered in a beautiful cottage perched on a wee knoll overlooking Lake Erie. The waves lapped at the waters edge as we met new friends, renewed long time friendships, shared our stories, ate together, prayed together, laughed and cried together. At mealtime, the kitchen became a scurry of activity and merry chatter as each one prepared their contribution for the delicious meal and then we sat around the large wooden table and bowed in thanks. Effortless conversation quickly filled the room. Was it possible that we were strangers just hours ago? A purposeful quiet hour gave space to listen to God’s whispers and the sharing that followed provided memories that bonded us in sacred ways. Life as a leader can be a lonely path and what incredible joy to gather in such a safe environment and pour into one another’s life. Appropriately called a Peer Care Retreat, we all drove away on Friday November 3 with visions of another such date just waiting to be set on our calendars. 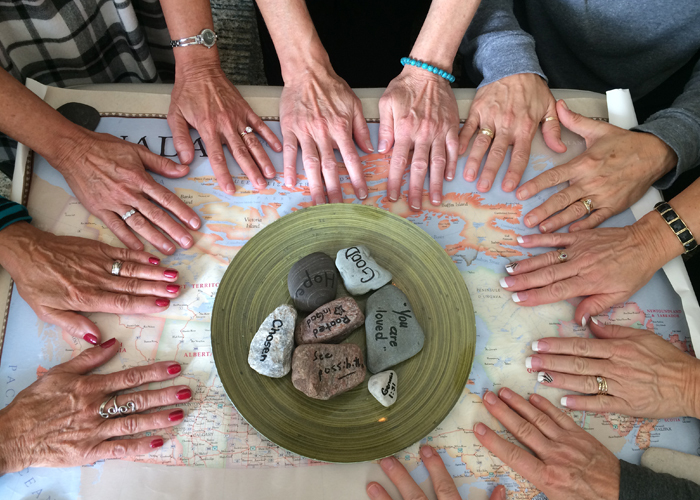 Margaret Gibb joined Wendy Burton for 2 days of interaction, life and leadership sharing and prayer with 14 women in ministry leaders in the Maritimes. It was a powerful time of learning and peer mentoring! What better investment is there than pouring into leaders who are making a difference in their churches, and communities. Annmarie Johnson is giving excellent leadership to this valuable part of Canada. Back again at the YWAM Base in Recife, Brazil, Margaret Gibb taught a group of eager students from Brazil, Chile, New Zealand and Costa Rica. Margaret taught on the Call of God – how does it come, what it involves and its importance in developing vision and our leadership. Brazil August 2017 from Margaret Gibb on Vimeo. 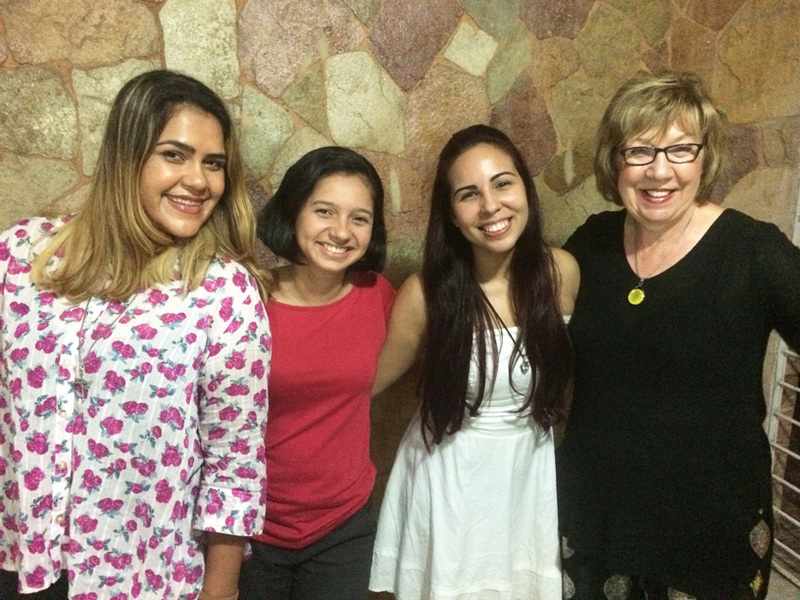 Meeting, for the first time, the three young women who are part of the Women Together Scholarship Program, “We Were Made for More” and enrolled in the Pentecostal Theological Seminary in Recife was truly a memorable experience! Each girl, Elga, Fernanda, and Pamella all expressed their appreciation to all those who contribute to the scholarship program which enables them to complete their B.Th. degree. 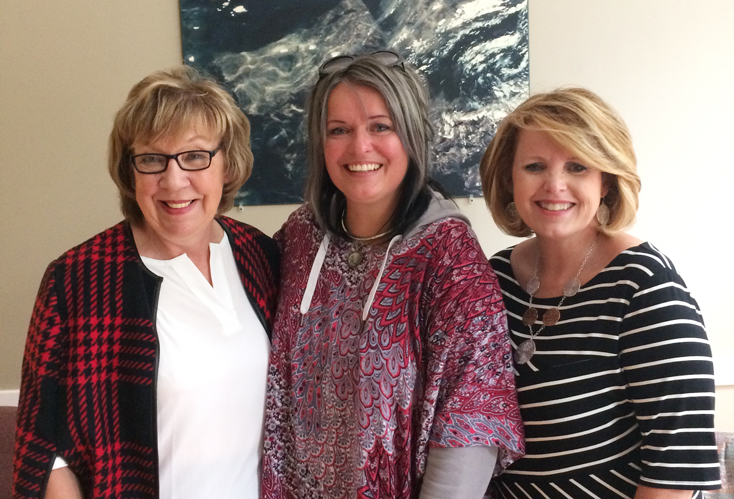 These are three amazing women who will be change-markers wherever God leads them. Speaking and being part of the services at Church of God in Recife, only added to an incredible ministry time in Brazil. This church located in one of the most difficult areas in Recife, is alive, strong and passionate to serve Jesus in their community. 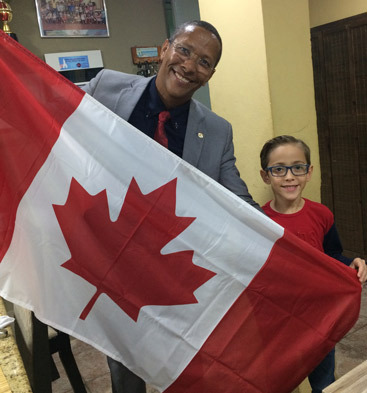 At their request, we brought a Canadian Flag, which will now be part of their platform décor but also a point of prayer. It was moving to have this wonderful congregation, under the direction of Pastor Rosivaldo Nascimento, have special prayer for our nation! Wonderful things are happening in Ukraine with Women Together. 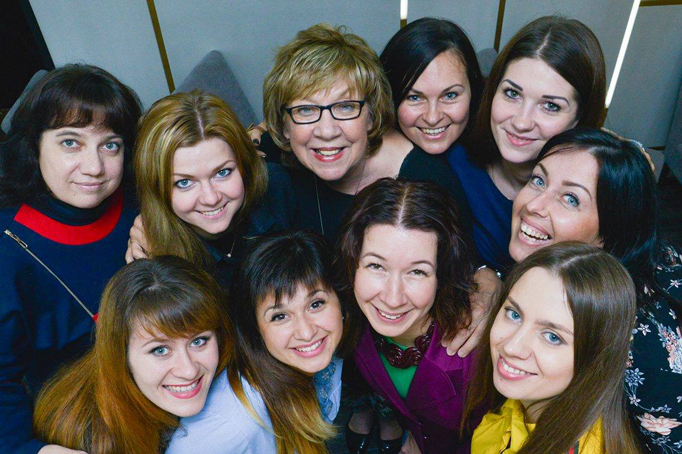 We now have a team of 13 passionate, gifted and called women who are making a difference in the nation of Ukraine. Margaret Gibb, was joined this year by her daughter Tricia. Working with Veronika Nuzhna, the Women Together Ukraine Coordinator is pure pleasure. She is an excellent leader with vision and the ability to make things happen. Besides Women’s Conferences, Pastor’s Wives Gatherings and leadership training in: Zoltye Vody, Krivoy Rog, Potava and Komsomolsk, we also did a first ever Connect School of Leadership in Zatoka near Odessa. In Ukraine, leaders want leadership training based on God’s Word. Pastor’s Wives need encouragement, one-on-one mentoring time, training and prayer! We taught on Calling, Loneliness in Ministry and What Pastor’s Children Face. 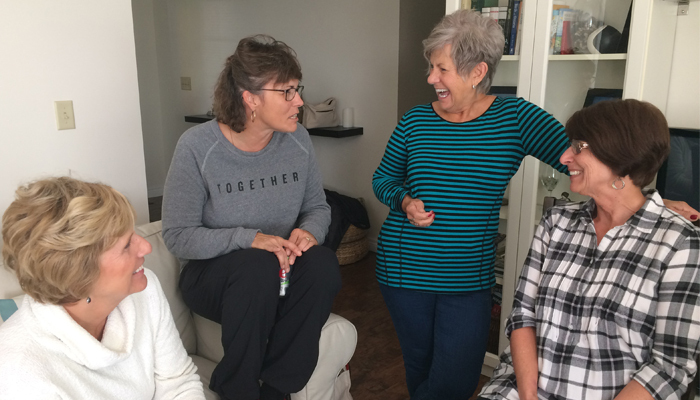 The Connect School of Leadership was a high point after developing the Women Together Ministry in Ukraine for 7 years. Seventy women in leadership came from various parts of Ukraine, hungry for God’s Word, training, fellowship, peer mentoring and prayer! Veronika, a very capable teacher taught on Burn Out and Barriers to Ministry. We covered topics on: Elements In Shaping a Leader, Making Vision Happen and Hearing from God. Our goal in Ukraine is more Connect Schools of Leadership. The time is right. The need is urgent. 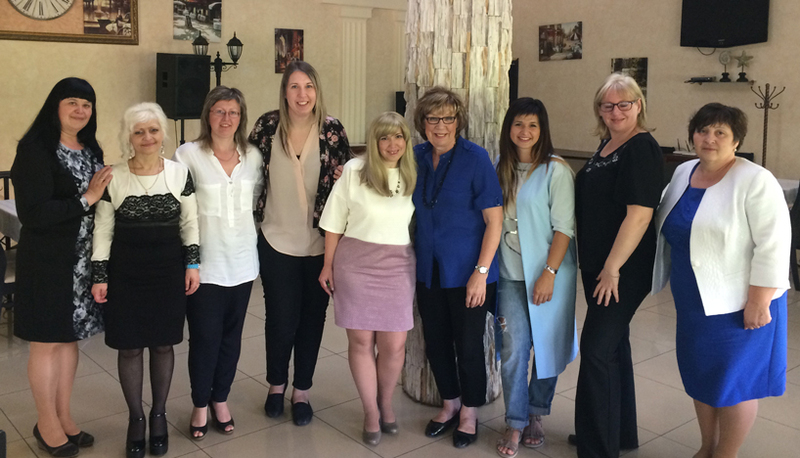 Women in leadership in Ukraine are being divinely positioned to fulfill their calling and it’s happening!